Summary: This series was another take on the Spider-Man mythos, calling from the range of source material and melding it together. 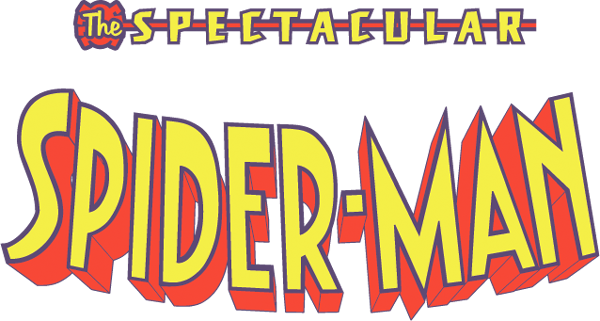 Unlike the 1990's cartoon, this series was to take place at the beginning of Spidy's career, back to the days when he was a teenager. Story: First, this series starts things off right, with their supervising producer being none other than Greg Weisman, known for his equally stellar series, Gargoyles. Stan Lee himself also wrote many of the episodes as well. The story arcs are well construed and follow some of the original plots, though everything has been handled in a far better manner than was seen by Spiderman: The Animated Series. The story arcs are not dragged on for any longer than necessary. Thankfully, they took chance to lay off the heavy doses of 'Break the Hero' while still keeping things dramatic. I realize that part of the draw to Peter Parker was that he was more empathetic than most heroes, but it's not a good sign when I feel like I want to punch a hero for just acting so self loathing. Characters: As one would expect, you have your typical characters of Peter Parker, Harry Osborn, Aunt May, Doc Connors, JJ and the basic Spider-Man rouges gallery. However, many of these characters get presented in a way that sometimes even exceeded their previous incarnations. Previously there was not much done with Peter's High School classmates, but this series worked to build them up further as people and not just as 'background noise'. Even Flash Thompson begins to show himself as being more than just a hard head Jock. What is the most noticeable, is the history of Eddy Brock and his friendship with Peter. Watching it become more strained as the series went on helped set the stage for when Eddy finally donned the Mantel of Venom. The end result was something that really made you feel for him as a character rather than being just another bad guy. Many of the other villains have this same feel to them and this dynamic is something I always appreciate and feel makes a series worth viewing. Voice Acting: Every performance in this series is just great and every voice chosen just seemed to 'work'. Josh Keaton's portrayal of Peter Parker was just great and you could sense a difference in the voices going back and forth from Spidey to Peter. James Taylor did a wonderful performance of Harry, and I feel he was able to capture the changes in Harry's personality very well. Even the side characters were felt as though they were given just as much care, which is not something that is always true of side characters in many cartoons. Ben Diskin's work on Eddy Brock was probably one of my favorites though. You could feel the subtle changes in him as a person, is transition to the person that would don the guise of Venom became very apparent even before he got the symbiot, which is a huge contrast to his personality in the beginning of the series. Soundtrack: Wonderful all around. The title song was very different from it's 1990's counterpart, but fun nonetheless. However, there weren't many stand out moments in the score itself, the kind that really stick with you. Not to say it's bad, just nothing I'd want to put in my playlist. Quality and Style: The whole series has excellent animation quality, and was one of the first things that caught my eye. First of all, the characters were designed by Sean "Cheeks" Galloway an artist that I had admired for a few years. The style was quite a bit different from previous versions of Spider-Man, however I thought it was an excellent merge of both modern and classic looks. Of course some may be a bit put off by the simple style, but when you also consider ease of animation and marketability, going a more streamline, styled look is very important. The character designs also follow the rule of shadows very well, as primary characters can be easily recognized by their silhouettes alone. It is also interesting to note that the Villains are given mostly green colors or colors close to green where as Spiderman is predominately red, giving the Villains cool colors and the Hero warm colors, almost feels a bit Ironic. The animation itself is beautifully fluid, from the slow scenes to the action scenes, you can tell that a lot of care went into it. Something that always bug me about most actions cartoons, is when production teams cheap out and cut up an action scene, using cuts and speed lines to give the appearance of combat, but without allowing the viewer to see the moves or acrobatics all the way through. Instead, they took their time with these action scenes, making them both beautiful and easy to follow. Conclusion: This series just hits every key correctly, and is in my opinion, currently the best incarnation of Spider-Man to date. Unfortunately, this series only lasted a total of 2 seasons, falling prey to the decline in funds Marvel had faced. While the rights changed hands a few times and did end up back with Sony, they have since dropped it to just start over with a new series. My only hope is that this new series is smart enough to pick up where Spectacular Spider-Man left off, and with the same team, rather than start something new all over again.